Scientists challenge FIFA & the Brazilian government: Protect 1,000 hectares of the critically endangered Caatinga ecosystem for each goal scored in the World Cup. Recife, 25 April 2014 — A group of scientists is sharply criticizing Brazil’s government for ignoring the environmental commitments it made during its campaign to host the 2014 FIFA World Cup. To raise awareness of these broken promises they are calling on President Dilma Rousseff to protect 1000 hectares (10 km2) of one of Brazil’s most endangered ecosystems – the home of World Cup Mascot Fuleco – for every goal scored during the competition. 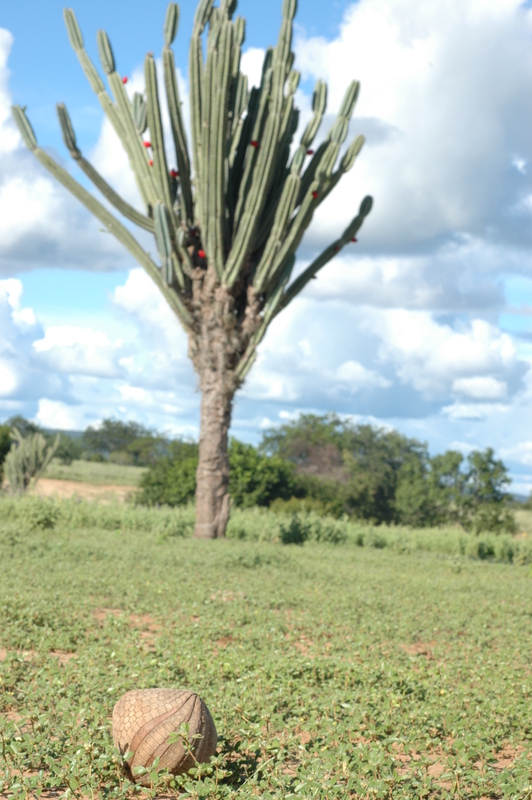 “Protecting the remaining Caatinga is extremely urgent. We want the choice of one of the Caatinga’s most iconic species as the World Cup mascot to be more than just a symbolic one”, says José Alves Siqueira, one of the paper’s authors and a Professor at the Federal University of the Valley of São Francisco. In their article to be published in the upcoming issue of the journal Biotropica, the researchers also propose other steps the government should take to reaffirm its commitment to environmental conservation. 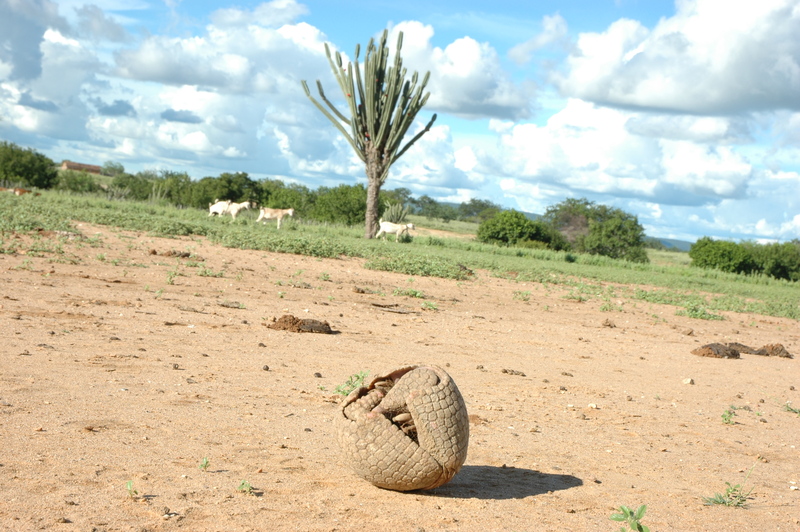 “In addition to expanding the system of Caatinga reserves, the government needs to honor its financial commitments to improve the infrastructure necessary to attract ecotourists to the “World Cup Parks” and speed up the publication of the plan to protect the endangered Three-banded armadillo” says Felipe Pimentel Lopes de Melo, another of the study’s co-authors and Professor at the Federal University of Pernambuco. “The Caatinga is a uniquely Brazilian ecosystem. 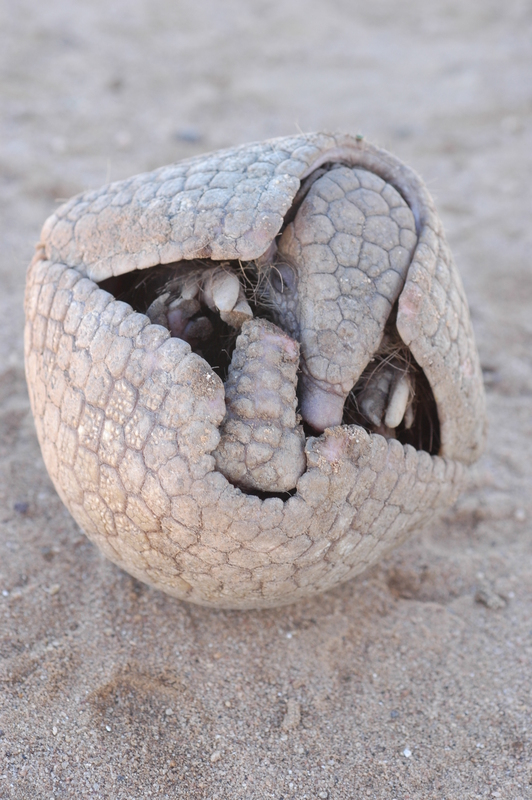 By acting boldly and swiftly, FIFA and the Brazilian government could help save the Brazilian Three-banded armadillo and protect thousands of hectares of its habitat”, says Enrico Bernard, another author also based at the Federal University of Pernambuco. “That would be the best goal scored this Cup”. Article: “Football and Biodiversity Conservation: FIFA and Brazil Can Still Hit a Green Goal”, Felipe P. Melo, Jose A. Siqueira, Braulio A. Santos, Orione Alvares-da-Silva, Gerardo Ceballos & Enrico Bernard. Biotropica DOI: 10.1111/btp.12114. A press release in Portuguese is available here. 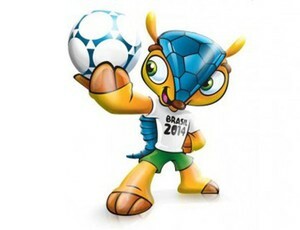 The Brazilian Three-banded armadillo Tolypeutes tricinctus, the official mascot of the 2014 FIFA World Cup. It’s habitat is the Caatinga drylands of Northeastern Brazil. Among the most threatened tropical dry forests of the world, the Caatinga has now been reduced to 53 percent of its original area. Besides strong pressure from subsistence hunting, T. tricinctus also experiences the loss of habitat due to the use of the vegetation for industrial and domestic fuelwood and conversion for livestock ranching. (Photo credit: J. A. Siqueira). The Brazilian Three-banded armadillo Tolypeutes tricinctus, the official mascot of the 2016 FIFA World Cup. It’s habitat is the Caatinga drylands of Northeastern Brazil. Among the most threatened tropical dry forests of the world, the Caatinga has now been reduced to 53 percent of its original area. Besides strong pressure from subsistence hunting, T. tricinctus also experiences the loss of habitat due to the use of the vegetation for industrial and domestic fuelwood and conversion for livestock ranching. (Photo credit: J. A. Siqueira). Fuleco – the mascot of the 2014 FIFA World Cup . 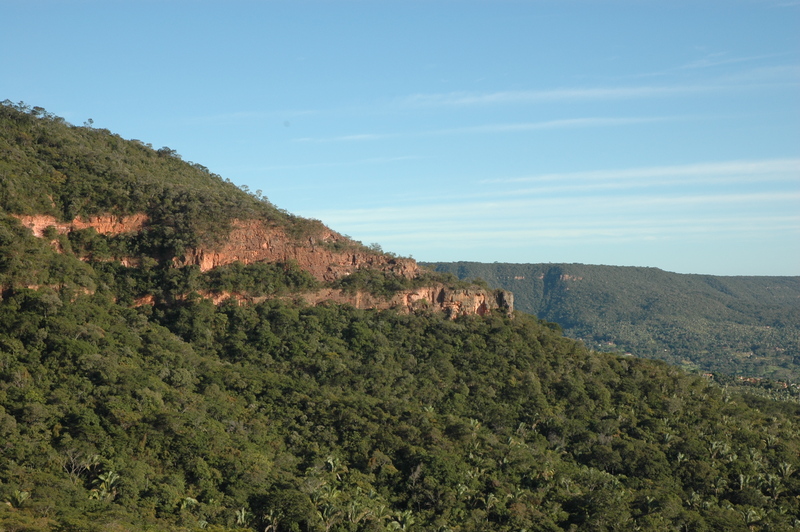 The Chapada do Araripe, a Caatinga site in Northeastern Brazil. Photo by J. A. Siqueira. Please take care of the animals and the environment. Enough has been destroyed all over the world.